Anzio Aluminum bar stool is inspired by 1940s designs created and implemented for the US Navy's rigorous utilitarian requirements, the Anzio series features a timeless design making it as functional and stylish in the modern home as it was in the military institution 60 years ago. Its construction is durable yet lightweight, corrosion-resistant, and surprisingly comfortable with its curved seat, designed to accommodate long hours of use without physical strain. 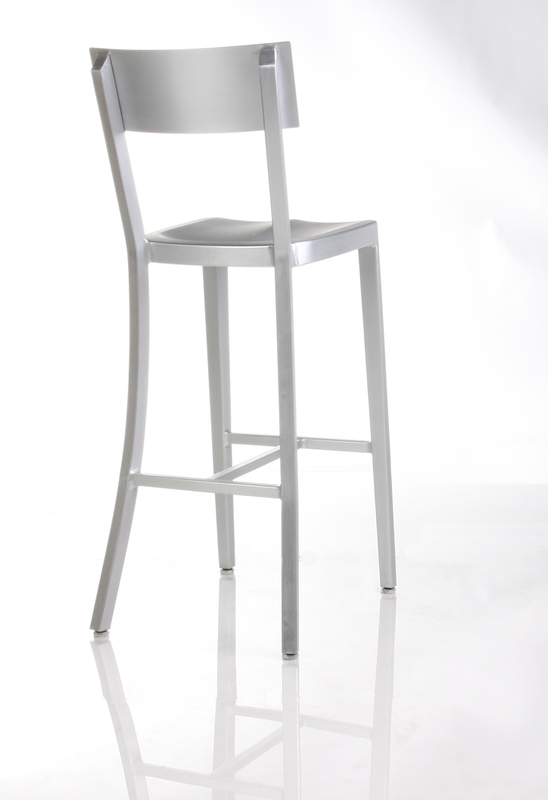 The Anzio Stool is part of a collection that also consists of an counter stool and side chair. -- Please Choose an Option --	16"W x 20"D x 42"H: Seat H - 30"